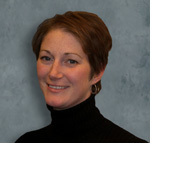 Katy Pagano is the Risk Management Specialist for Marshall & Sterling Insurance corporate-wide. In this capacity she is responsible for the introduction, oversight and coordination of all risk management and loss control services offered to current and prospective clients. She assures timely progression and completion of program components and service timeline commitments, and also conducts work related accident investigations, accident analysis and safety training. Katy also handles reviews of client work sites to insure conformity with OSHA requirements and provides insurance replacement cost surveys. Additionally, Katy conducts material handling studies, and reviews production procedures to assist in eliminating potential work injuries. Katy Pagano joined Marshall & Sterling in 2006, serving as both a Technical Program Specialist and Sales and Development Coordinator. She holds a number of industry safety designations including OSHA 10 Construction, OSHA 30 Construction, OSHA 30 General Industry, Authorized OSHA Trainer Certification, ASSE (Risk Assessment Training), Certified Defensive Driver Instructor, Certified TIPS Trainer and POSH (Principles in Occupational Health and Safety) Certificate. Currently, she is in the final stages of completing ASC (Advanced Safety Certificate), and is also in training for CSP (Certified Safety Professional) and Code Rule 59/60 Consultant designations. In addition, Katy provides presentations and training to ensure commercial clients have the wealth of information and resources available via Marshall & Sterling’s web-based Client ToolKit - a resource library of insurance information which provides documentation to help prevent loss, contain costs and educate in areas of safety, legislation, compliance issues, and much more. Katy holds a Bachelors Degree from Utica College of Syracuse University, and Masters Degree from Sage Graduate School. She resides in Poughkeepsie, NY with her husband Mark and two beautiful sons, Patrick and Thomas.